It’s officially that time of the year — the holiday season. By the time November rolls around, classic holiday songs in every department store serve as a constant reminder that you are in the midst of the “most wonderful time of the year” and the “happiest season of all.” What these jovial holiday tunes neglect to mention, however, is the toll that seasonal changes and the holiday hustle and bustle take on your mood and overall health. As we get closer to closing out the year, consider adding these six mood boosters to your daily routine to stay healthy and stress free for the holidays. The warm, summer weather might be a thing of the past, but it is still important to soak in your daily dose of vitamin D from the sun. Approximately 10 to 20 percent of Americans suffer from Seasonal Affective Disorder (SAD) – the medical term for what one might call the “winter blues.” SAD is a type of depression triggered by the changing seasons. It is most famously associated with shorter days with less sunlight, making those in areas with darker, harsher winters more susceptible to developing at least a minor case of SAD. Along with feeling sad, those suffering from SAD might also report sudden fatigue, anxiety, and weight gain. For this reason, it is important to try to spend at least an hour every day soaking up some sunshine. The vitamin D boost you will receive from the sun helps to trigger serotonin production, a natural “feel good” chemical in the brain that regulates moods. Remember, just because the air is cold does not mean the sun’s rays are any less harmful! Always protect your skin with sunscreen and UV safe clothing before spending prolonged time in direct sunlight. Studies have proven exercising is one of the most effective methods of naturally elevating your happiness and boosting your energy by releasing mood improving hormones called endorphins. 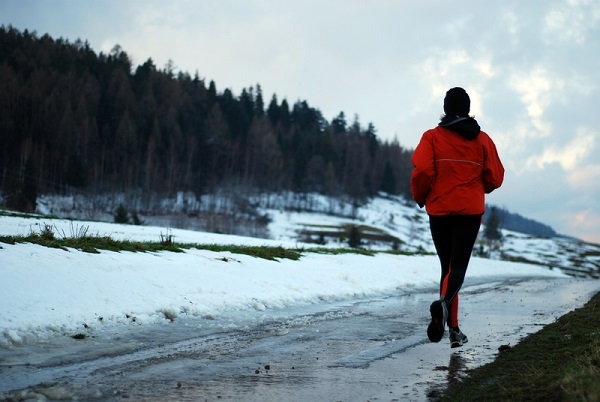 Working out in a colder climate means your body needs to work harder to stay warm, which also increases the amount of hormones produced in the body. Whether you’re jogging outside or practicing some relaxing yoga poses, giving your body a daily endorphin rush will help you feel energized and stress free from morning to night. Do you find yourself falling victim to the mid-day lag as the seasons change? If you’re finding it harder to function throughout the day without an afternoon nap, the scent of citrus could be the sweet pick me up your body needs to stay healthy and stress free. The fragrant aroma of fresh cut citrus triggers the brain to produce norepinephrine, a hormone and neurotransmitter that has a calming effect on the body after a stressful event. When the adrenal medulla is not producing enough norepinephrine to combat the already stressful holiday season, one might report feeling more depressed and fatigued than usual. While carrying around slices of lemons and grapefruits might not be ideal, introducing citrus scented candles and essential oils to your home will help you feel reinvigorated in the morning and relaxed at night. Who would’ve thought all it takes to stay healthy and stress free for the holidays is a healthy dose of herbs and spices? 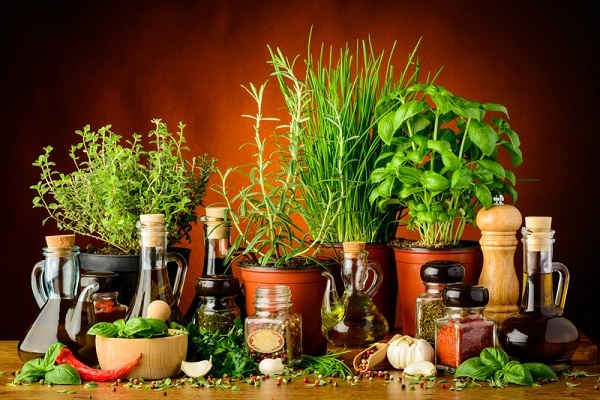 Herbal medicine has been used for centuries to treat various conditions, and the recent trend towards holistic healing practices has made herbs and spices a popular option for naturally combating stress, anxiety and illness. For stress relief, consider incorporating antioxidant rich basil into your diet. If seasonal anxiety is interrupting your day, relax with a mug of lavender tea or a pinch of nutmeg before bed. If steering clear from the common cold and other seasonal illnesses is a concern this time of year, turmeric’s powerful anti inflammatory properties will increase blood flow throughout the body to keep your heart strong and your head clear. Easier said than done, right? Getting a restful, restorative night’s sleep can be challenging all year, but the added stress and fatigue that tends to creep up in the winter can add a whole new level of disruption to your sleep cycle. Aside from feeling lethargic the next day, losing out on the crucial sleep time could also wreak havoc on your immune system. This could make you more susceptible to catching a cold or the brutal winter flu, which puts your body through weeks of additional stress trying to repair from the inside out. Luckily, all of the de-stressing tips mentioned above contribute to a healthy night’s sleep! Sleep and stress go hand in hand, and a body that is constantly stressed will have a much harder time winding down at night than a body that is relaxed. The effort you put into keeping your stress levels in check during the day will have a direct impact on your sleep patterns at night. If working out, eating well and practicing relaxation methods still leave you feeling restless, consult with a functional medicine doctor to rule out the possibility of a serious sleep disorder. Now that you know the basics to staying healthy and stress free for the holidays, it’s time to determine a daily routine that works for your unique needs and health concerns. 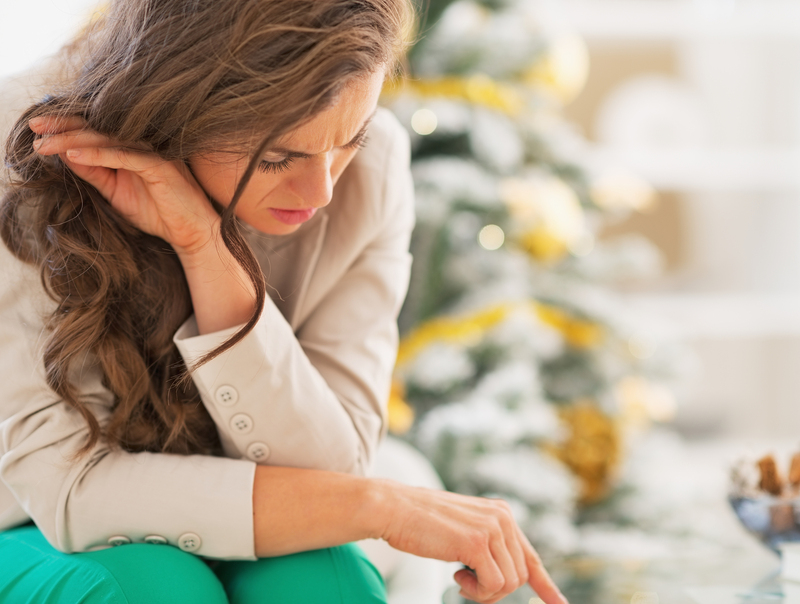 The winter months are just beginning, so it is beneficial to determine your seasonal stressors early on before your mood and health take a turn for the worse once the hustle and bustle of the holidays are in full force. Need help figuring out which measures to take to keep your holiday cheer in check? Develop a stress relief plan with a functional medicine doctor to determine the root of your stress and keep your spirits bright.